I've always wanted a robotic vacuum cleaner, even more than my wife, as vacuuming was always my duty. But they all were so expensive and far from being perfect, that I just gave up this idea and decided to wait until they become cheaper and "smarter". Then, about a month ago I went to 4th of July celebration to my friend's house and noticed this little spaceship moving on the floor in the other room. Turned out my friend bought it for himself as he doesn't have time for cleaning and he seemed very happy with it. 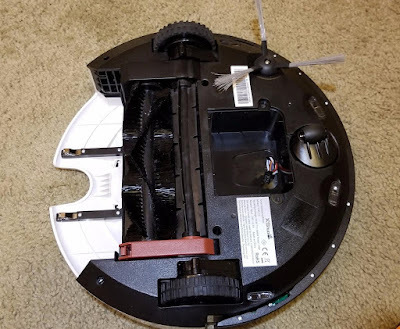 So I, finally, decided to give it a try and buy the robotic vacuum cleaner on Geekbuying.com. I have it already for a week and it exceeded my expectations. The setup was extremely easy, I just downloaded the app and all manipulations I could do using my phone. The app is nice, user-friendly, easy to use with no glitches. 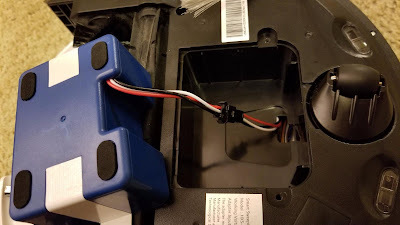 I was genuinely surprised after opening the box; I didn’t expect the vacuum cleaner to be of such good build and quality. I would advise using the guide, which is easy to follow, for first-time use. It takes you through all the basic functions as well as any troubleshooting. Having said that, this is a plug and play product! All I had to do was to press the clean button to get started and this little guy started working. 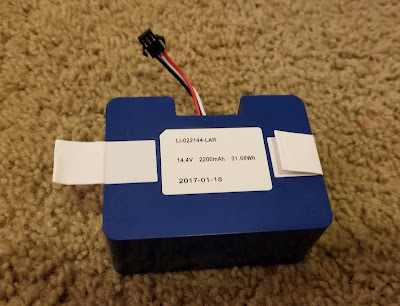 Before the first use, I did an experiment. I vacuumed a room with my old regular vacuum, which I considered to be very powerful. I did this for a full 20 minutes, to make the carpet in my daughter's room super clean. And only then I pressed the button on my new robotic vacuum cleaner. The room is not very big, so it worked for 15 minutes before I turned it off. You cannot imagine how shocked I was when I opened it and saw how much dirt my previous vacuum left: hair, some food particles, dust. It's really hard for me to understand how such small device can be so powerful. I can program different patterns and it will start cleaning the room on the schedule. Also, I can control it all the time and move it using my phone. Really, you can move it using the app, it is so fun! With fully charged battery it will work around two hours, which is more than enough for a two-bedroom apartment. Also, It can climb a little bit, for up to 15 degrees, for example, there is a thick play mat in my daughter's room, so it's not a problem for the vacuum to move there from the carpet. This is a really smart device as it will omit your legs, when you're standing or any other big enough items. There is another amazing feature: it automatically finds its charger and moves there after cleaning was finished or battery is low. Also, you can send the command to find a charging station by pressing a single button in the app. Amazing that I don't even have to be at home. As I said - everything can be controlled from the app. I and my wife are both very busy and cleaning our apartment with the vacuum after coming from work is the last thing we want. Besides, having a two-year-old means food everywhere. You don't have to buy it, a regular vacuum can also do the job, even a broom. But it just made our life a bit easier. Usually, it vacuums while we're at work and our daughter is in daycare, but during the weekend it vacuums while we're at home and because it's reasonably quiet, it doesn't bother us. BTW, there's a possibility to start and stop cleaning using Amazon Alexa and voice commands. Currently, I don't own any Alexa device, but it is good to have this feature, maybe I'll buy Echo Dot in the future. 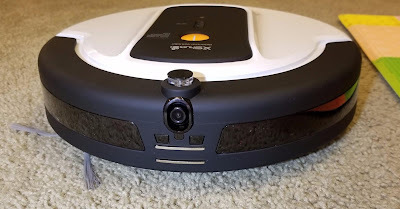 Almost forgot to mention that this vacuum cleaner has a built-in camera, and you can see the live picture from this robot in real time on your phone. BTW, the camera has a night vision, so you can ride this "drone" even at night. Final Thoughts. This is a perfect device for a busy people who want their home to be clean. It is powerful enough (in comparison to my old upright vacuum cleaner), and compact. 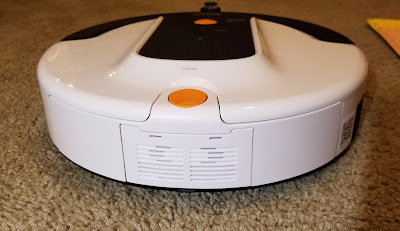 This is the first robotic vacuum cleaner that does its job well and I didn't find any issues with it so far. 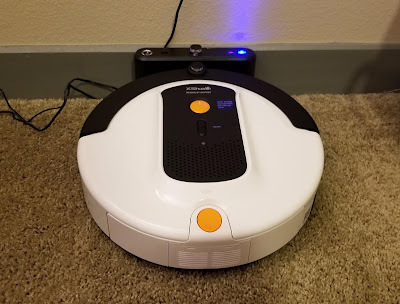 If you set up your mind of buying a robotic vacuum, I would recommend this one.